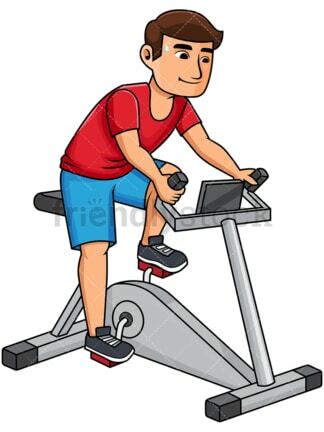 Royalty-free stock illustration of a young man using a stationary bicycle to exercise. 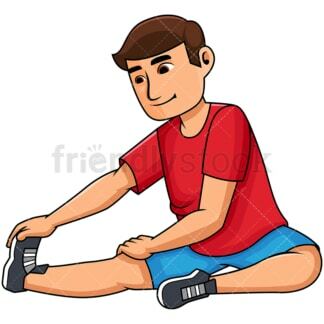 Royalty-free stock illustration of a healthy young man doing some stretches before starting his workout. 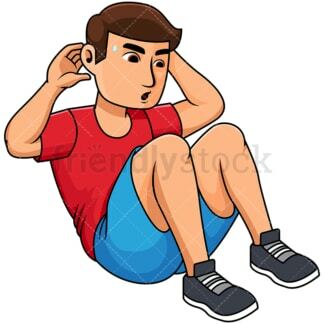 Royalty-free stock illustration of a healthy young man doing crunches and sweating. Royalty-free stock illustration of a healthy young man riding a reclined bicycle, exercising and sweating in the process. 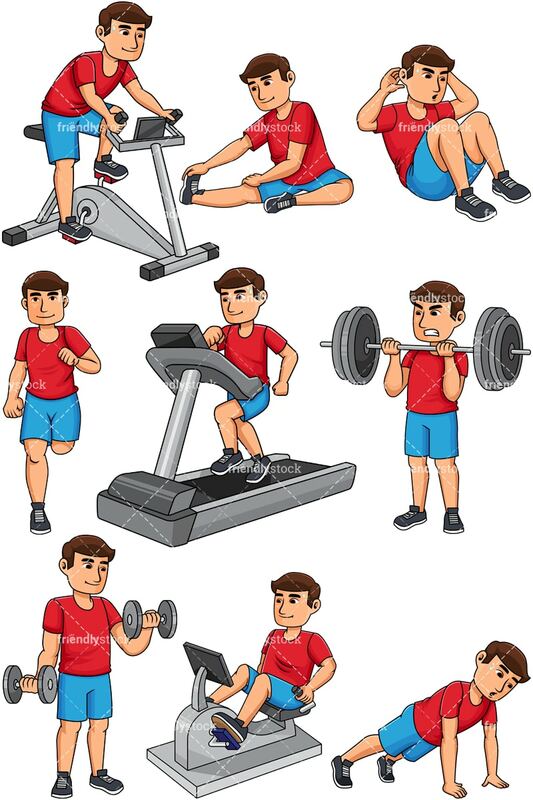 Royalty-free stock illustration of a healthy young man holding a dumbbell in each hand and doing some weight training. Royalty-free stock illustration of a healthy young man doing some weight training with a barbell. Royalty-free stock illustration of a healthy young man running and smiling. 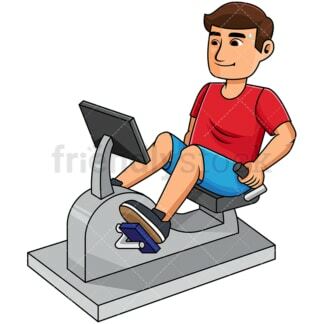 Royalty-free stock illustration of a healthy young man using a treadmill to exercise. Royalty-free stock illustration of a healthy young man sweating while doing a push up and looking a bit tired.